Aerobic and endurance activities have been studied and reported to be helpful in countering the onset of type 2 diabetes. According to the World Health Organization (WHO), cardiac disease is the leading cause of mortality in the world. Heart problems could arise because of several reasons-congenital abnormalities, obesity, high cholesterol, etc. to name a few. Many, not all, of the problems, are a result of poor lifestyle choices made by individuals. It is generally inferred that cardiac troubles are an issue associated with adults. However, several studies undertaken in adolescents reveal that most of the problems with the heart had their origin in childhood, as a result of obesity and associated cardiometabolic risk factors. Research shows that regular exercise is helpful in altering lifestyle. A routine workout helps one overcome a sedentary lifestyle and mitigate cardiovascular risk factors like obesity, elevated blood pressure, an abnormal lipid profile, sugar parameters, etc. Any one or a combination of the factors mentioned above could potentially lead to coronary heart diseases and the possibility of undergoing cardio revascularization procedures like a bypass or angioplasty. Apart from obvious benefits to the heart, aerobic and endurance activities have been studied and reported to be helpful in countering the onset of type 2 diabetes as well. Additionally, various other advantages such as the enhancement of balance, strength and flexibility are also observed. Given that exercise is good for the body, one also needs to understand what kind of exercise and how much of it is good. The lead author of the Scottish studies on adolescents, Dr. Duncan Buchan, suggests that frequent short exercise intervals of higher intensity are better for heart health as compared to long duration exercises of moderate or low intensity. This concept of “sprinting” has gained momentum and is generally included in many exercise regimens as a high-intensity cardiovascular exercise. A major advantage of sprinting is that it combines high-intensity exercise with periods of low intensity (recovering) workouts. 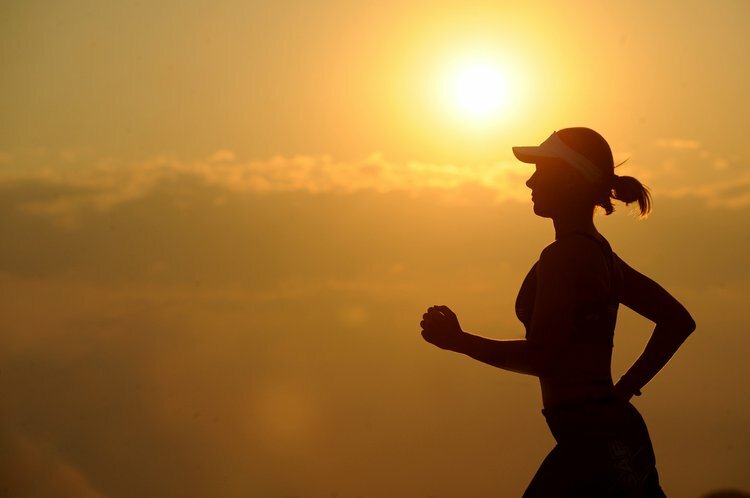 This is contrary to endurance training, which, although effective, could sometimes result in changes in arterial architecture and put so much strain on the body that the recovery mechanisms are unable to cope. Several reports state sprinting to be beneficial for cardiac health; if anything, sprinting is said to be as good as endurance training within shorter durations of practice. The American College of Sports Medicine states that the same health benefits of endurance exercise can be achieved through sprinting, namely, weight loss, fat loss, enhanced metabolism, improved muscular cell functionality and increased capacity for oxygen uptake. In fact, sprinting has also been found beneficial to patients who have heart disease/s and have had congestive heart failure. It is advisable for such patients to sprint under medical supervision and take into account the opinion/s of a sports nutritionist or a fitness expert if it needs to be practiced on a regular basis. Sprinting can be started with low-intensity aerobic exercises as a warm-up and then alternated with sprinting for short durations. The intensity can be gradually increased with daily practice to get the heart and body used to it. Signs of dizziness, light-headedness, shortness of breath, etc. must be paid attention to. For regular sprinting, the cardiac stress test and cardiac output should preferably be calculated. This can help determine the sprint routines suitable for individuals in a way that benefits cardiac health and prevents any diseases or injuries. Buchan, D., Young, J., Boddy, L., & Baker, J. (2014). Independent associations between cardiorespiratory fitness, waist circumference, BMI, and clustered cardiometabolic risk in adolescents. American Journal of Human Biology, 26(1), 29-35. Buchan, D., Ollis, S., Young, J., Thomas, N., Cooper, S., Tong, T., . . . Baker, J. (2011). The effects of time and intensity of exercise on novel and established markers of CVD in adolescent youth. American Journal of Human Biology, 23(4), 517-526.